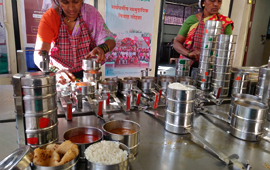 Lokmangal Annapoorna Yojana becomes their tiffin full of nourishment. Getting education is your children's right. Let them have it to create their own future with their own hands. When you have no worries about the marriage, things ahead are easy to handle. The saved money can be used for future needs. We pledge for the development of the rural society. Our projects are dedicated to the betterment of them. It is our humble wish to spread this good deed all over India. You are welcome to donate and contribute. Marriage has differentiating importance in everybody's life. It is burdensome for underprivileged families, sometimes leading to suicides. To help such families. After the certain age, it is hard to earn your own bread. 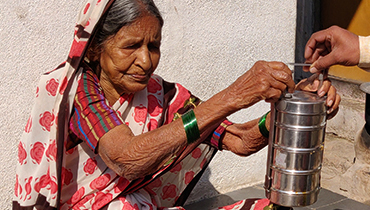 To provide these elders with a stomach full of meal and a mind full of peace. Water conservation has become a need. 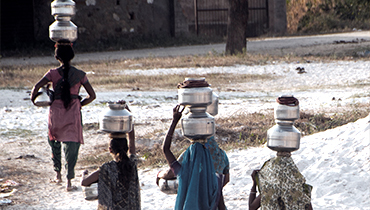 The villages facing droughts, to provide them a better solution to reserve and conserve water resources. Basic education is an unachievable dream for the children who come from financially unwell families. To adopt and provide them with value-added learning. Every woman possesses the spirit to be strong. She just needs to be trusted. To make respectful empowerment of women in rural areas. Being healthy is the birthright of every human being and everyone should get it right. To provide health facilities at reasonable rates. 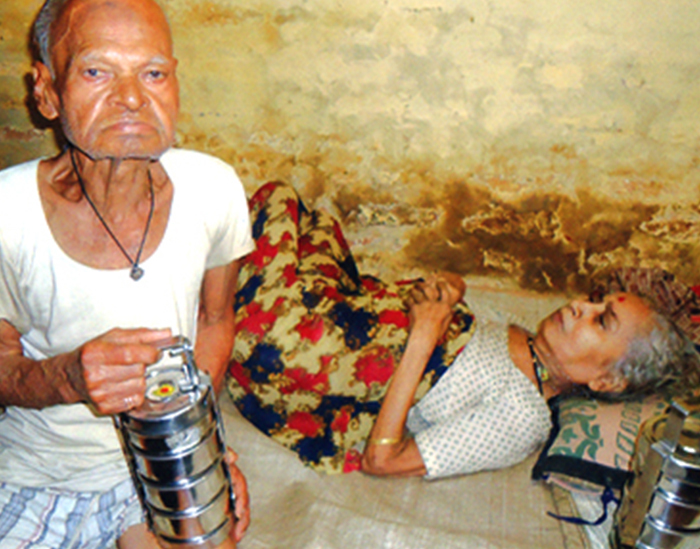 Senior citizens, neglected by their families, suffer the most when they can't even get the proper meals. We provide them tiffins with healthy and sufficient food. 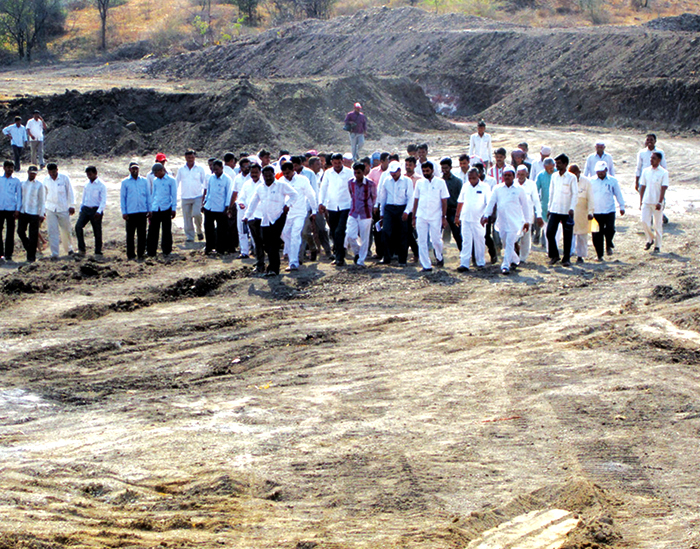 Districts like Solapur face drought more often. Lokmangal Jalsandharan Pattern B.B. is an irrigation scheme to bring prosperity to farming. Education changes lives. Students dream of but can't get further education due to financial constraints. We adopt deserving students and help them to pursue their dreams. Marriages are great. But for economically weaker sections of our society, they are quite burdensome. We help them with the wedding preparations. 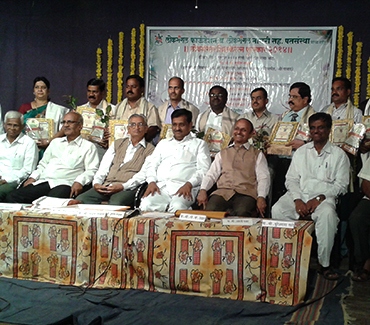 Lokmangal Foundation works for the betterment of rural society. We try to improve their lives. Currently we are working on four projects. To provide the rural society a better life. To develop the models which the whole country can follow. 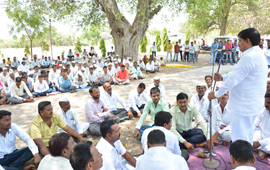 To stand for the development of rural society. To reach more of them, more hands are always welcome. Your donations will be reached to the needy people. They can get one couple married, saving their parents from debts, one of the biggest reasons of farmers' suicides. They can give five more children worthy of education. Your donations can change their lives. Come forward to be a change leader. लोकमंगल या नावातच जनसामान्यांचे हित उमजते. लोकमंगल हा उद्योग समूह नसून एक सुंदरशी कुटुंब प्रणाली आहे. आजमितीला सोलापूर जिल्हा हा सर्व लोकमंगलमय झाला आहे. लोकमंगलमुळे आज २५ हजार हातांना काम मिळाले आहे. 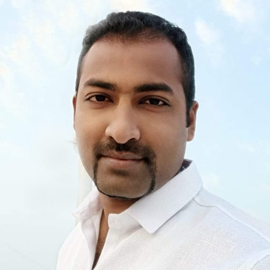 आज लोकमंगल म्हटलं की एक विशिष्ट, मानसन्मान, नावलौकिक मिळालेला समूह म्हणून ओळखला जातो. लोकमंगल या छोट्याश्या रोपट्याचं रूपांतर फळा फुलांनी बहरलेल्या वटवृक्षात झाले आहे. लोकमंगल समूहाला एक किनारा आहे की, ज्या किनार्‍याला समाजकारण, अर्थकारण सारख्या बाजू आहेत. 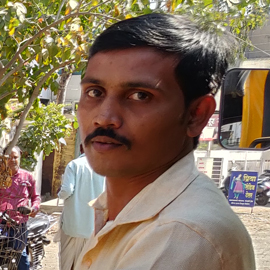 त्यामुळेच लोकमंगल समूहाला आज देशात मानाचं स्थान आहे. सांस्कृतिक, आध्यात्मिक, औद्योगिक क्षेत्रात विकासाची आणि उन्नतीची दिशा देण्यासाठी ही संस्था प्रयत्नशील आहे. लोकमंगल सामुदायिक विवाह सोहळा ही मला एक वेगळी चळवळ वाटली. पहिल्या दिवसापासून मी या चळवळीत होतो. गोर गरिबांना प्रतिष्ठा, सन्मान मिळावा यासाठी ही चळवळ आहे. 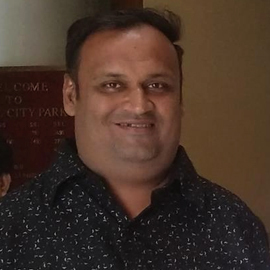 जसे लोकांनी लोकांसाठी लोकांमार्फत चालविलेले राज्य म्हणजे लोकशाही तसेच लोकमंगल म्हणजे एक सामाजिक चळवळ. लोकमंगलचा दबदबा हा समाजकार्यात सदैव राहणार आहे. लोकमंगल या संस्थेने कुठल्याही प्रकारचा स्वार्थ न बघता समाजाच्या हितासाठी सामुदायिक विवाह सोहळा हा उपक्रम हाती घेतला आहे. या सोहळ्यात विवाह करताना मी समाधानी होतो. 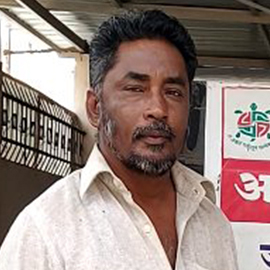 ही संस्था एकदा लग्न झाल्यावर आपल्या परिवारात सर्वांना समाविष्ट करून घेते व त्यांच्याकडे वेळोवेळी लक्ष देते. 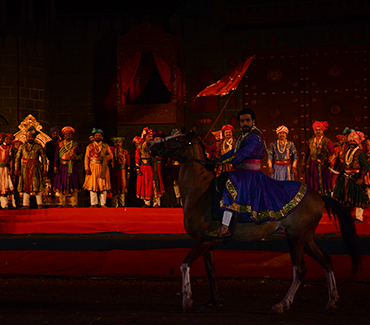 A historical drama featuring Dr. Amol Kolhe as Shambhu Raje and 250 actors was arranged for all. 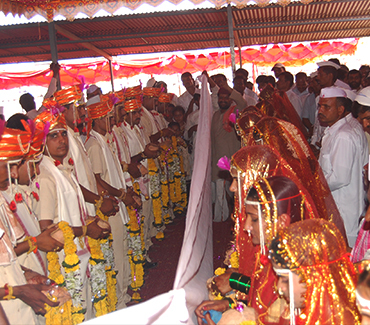 As per every year, Community Wedding Event was held in Osmanabad where hundreds of couples got married. 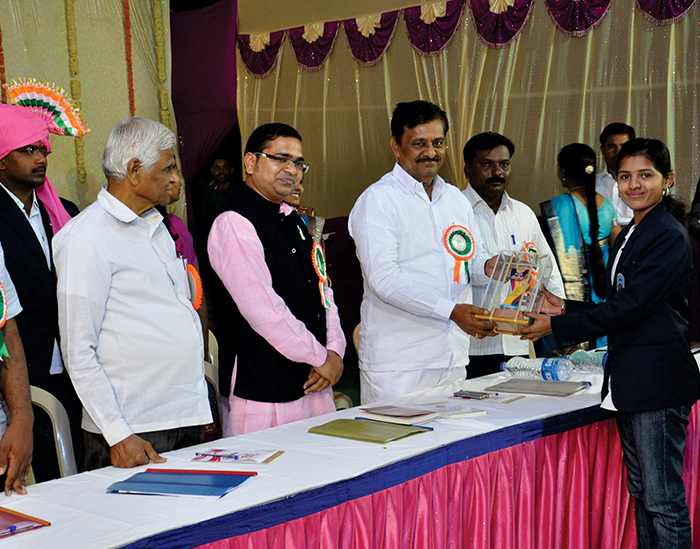 Mrs. Lilatai Koti received Lokmangal's Dr. Abdul Kalam Award. Eleven teachers and two schools received various awards.